Mr. Ripley commenced work in the elevator industry in 1996 as a sales/management trainee for General Elevator Company, Inc. in their Baltimore headquarters. In addition to his sales responsibilities he also began managing their major project division overseeing several design-build new construction projects and government agency modernizations. After the acquisition by ThyssenKrupp Elevator in 1999, he served in a number of management roles including overseeing field and sales responsibilities for their construction and modernization departments as well as supervising their engineering and project management departments throughout the Mid Atlantic District. 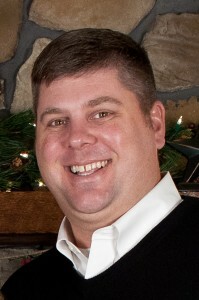 In 2005 Mr. Ripley joined KONE, Inc. serving as their regional sales manager for the Mid-Atlantic. Under his leadership, he led the development and expansion of their machine room less (MRL) elevator product line through product education and local jurisdictional code approval. He also coordinated all maintenance and modernization sales activities as well throughout the area inducing expansion into several new markets. During Mr. Ripley’s career in the elevator industry he has had extensive experience in virtually every facet of the business including field work, field supervision, engineering and design applications, business development, contract negotiations, elevator modernization, elevator maintenance and new installations.